Illustration by Sam Woolley. Image by Photographing Travis, rjakobsson, .v1ctor Casale and OKFoundryCompany. 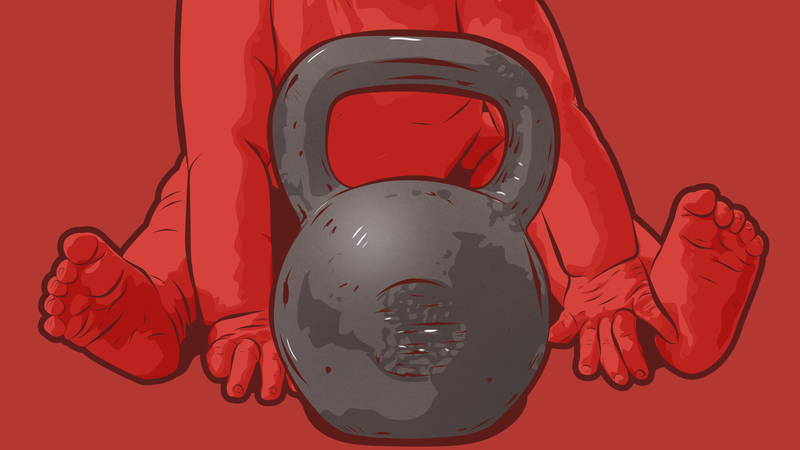 We've already discussed why kettlebells are awesome, and all the things you can do with them. You may even be ready to add one to your home gym, or set of weights. But of course, any time you buy your own equipment, the number one consideration is how much you want to spend. Well, brace yourself to plunk down between $70 and $400 for just one kettlebell. A single kettlebell is a steep investment, although the price tag varies based on its construction, weight (kilograms or poods) and brand. It's tempting to reach for high-end stuff, but you really don't need the best kettlebell when you're starting out. You do, however, want quality because trying to save a few bucks will literally hurt you down the road (we'll get to that later on). The marketplace is filled with kettlebells of all shapes and sizes, made with vinyl, cast iron or steel, and coated in many different colours. Some of these differences, like handle width and kettlebell size, can matter a lot, and others are gimmicky or intended for competition. Normally, traditional cast iron kettlebells (the all-black ones you'd find at the gym) get bigger dimensions as the weight goes up. A 16kg kettlebell will be larger, not just heavier, than its 8kg kin. Competition kettlebells, on the other hand, have uniform dimensions across all weights: A 8kg kettlebell will be the same size, including the bell shape, base and handle width, as a 32kg or 48kg one. 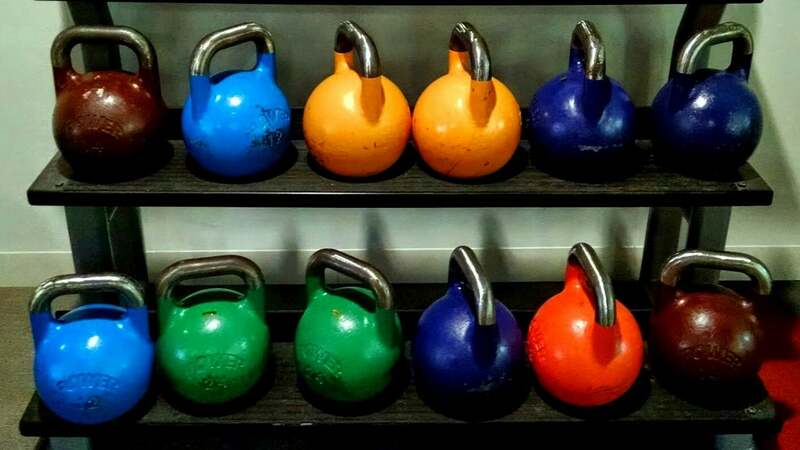 Some competition kettlebells, like these by Perform Better, are painted a variety of colours to help you quickly single out a certain weight from the pack. 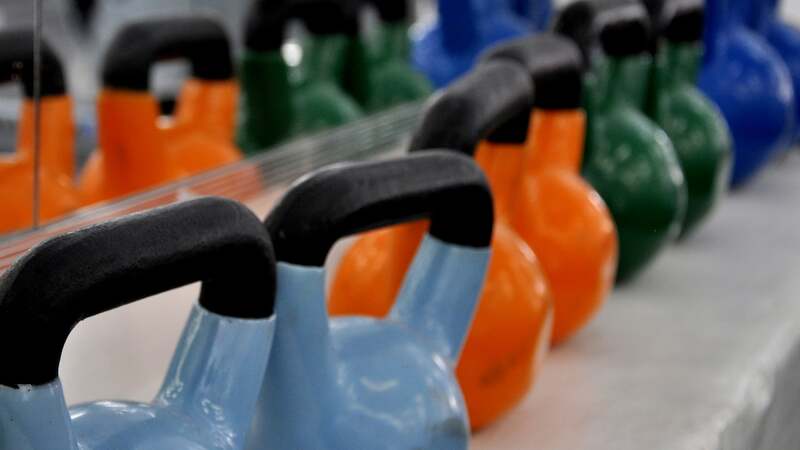 Standardised kettlebells aren't necessarily better. They ensure that your exercise technique stays consistent between training and competition. For example, you'd know that during a kettlebell clean the kettlebell will rest in the same place on your forearm every time, regardless of changes in weight or brand. Because they're made out of steel, they last longer too. Competition kettlebells are a quality option if you see very serious kettlebell training in your future. Starting light is a safe bet in weight training, but with kettlebells, it's better to go a bit heavier than you think you can handle. That way, you can work on technique, get stronger and not outgrow it too quickly. Start between 8kg and 16kg and see how it feels. If you're on the stronger side because you've been training with weights for a long time, try 20kg or 24kg. It isn't an exact science. You'd probably test a kettlebell's weight by lifting it like a dumbbell and thinking, "Whoa, that's heavy!" But don't think about using a kettlebell the same way as a dumbbell. When you do kettlebell exercises like swings, snatches, cleans or Turkish get-ups, you use your whole upper body, your legs for power and your core to keep you from twisting up like a pretzel. Put another way, you use multiple muscle groups instead of isolating one like you do in a typical dumbbell exercise. With that in mind, a kettlebell that might seem too heavy for, say, a dumbbell bicep curl isn't too heavy for a kettlebell swing. It's heavy enough that you can practise snapping your hips to propel the kettlebell forward, but not so light that you end up muscling through the exercise, rather than doing it with good form and getting the benefits. We all want to save money, but there's a less obvious reason to spend a little extra on a quality kettlebell: A good handle that won't bloody up your hands. When you do hundreds, maybe even thousands, of repetitions where the handle floats and slides through your hands, there's hell to pay if the handle has rough edges. Sure, you could wear gloves, but they can also interfere with your exercise technique. Pay extra attention to the kettlebell handle, including the underside, and check for even smoothness. Big kettlebell manufacturers like Rogue Fitness usually take care of this, but cheaper kettlebells often do not. You'll still get callouses, but overall your hands will thank you. A quality handle should feel comfortable, but also is an appropriate size and thickness (35mm is standard), has enough space between the handle and main bell (ideally about 55mm) and is properly sanded down and smooth. It can't be too smooth, though, because after 20 or so reps your hands get sweaty and have a tough time keeping a good grip. 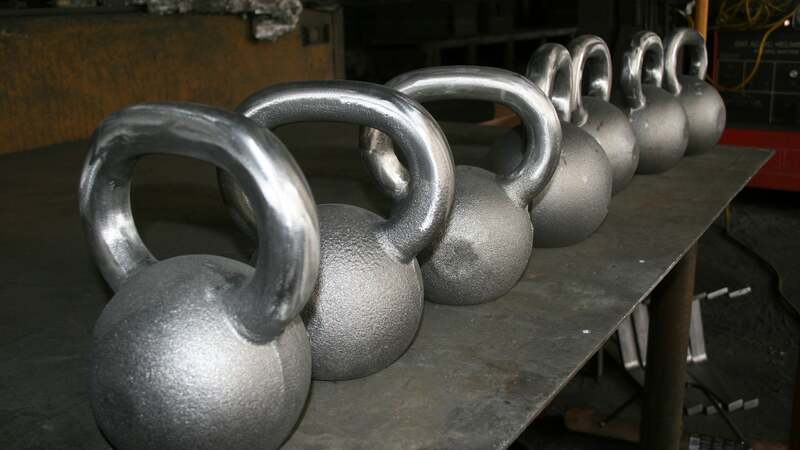 Kettlebells will last you a long time, especially if you buy one that's made out of cast iron or steel. The painted ones can chip more. You can find more affordable vinyl or plastic kettlebells, but the drawbacks outweigh any money you might save. Cheaper kettlebells typically don't follow any standard shape or size, which in turn changes the mechanics of kettlebell exercises and make them no more than glorified dumbbells. Sometimes there even isn't enough space between the handle and ball for you to comfortably hold it. If you plan on competing at some point, it might be worth looking into pricier competition kettlebells from Rogue Fitness or Valery Federenko Precision, the Ferrari of kettlebells. 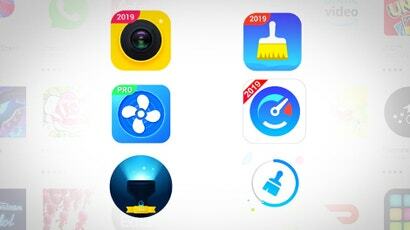 Those are some of the industry's most reputable companies. 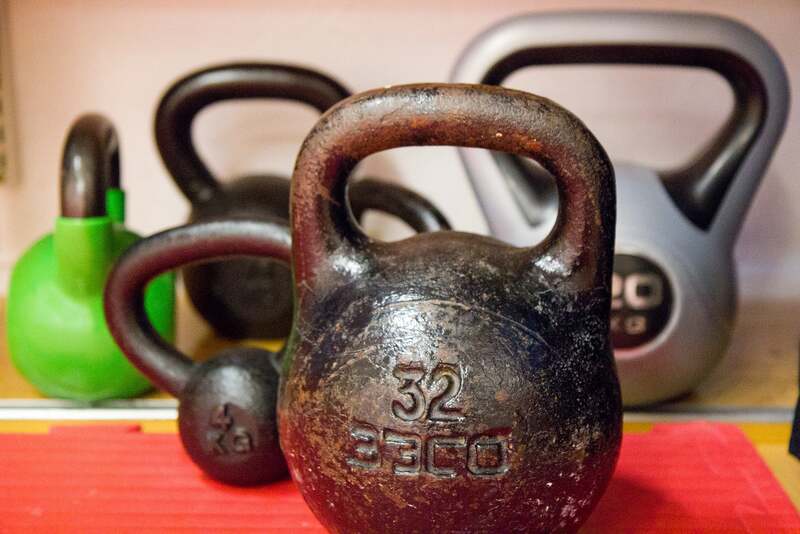 If you're just in it for fun and general fitness, a traditional cast iron kettlebell, like those from Onnit or Perform Better, will work just fine. You're still looking at spending about $150 for most of these kettlebells, excluding shipping, but if you think you'll be using yours a lot, paying for quality is worth it. You can make your own kettlebell, but the handle could break or rough up your hands. It's better to think of a DIY kettlebell as a temporary solution or an introduction to kettlebell exercises until you have the budget for a well-made one. You might come across adjustable kettlebells or kettlebells that come in two or more pieces. I wouldn't recommend either for serious kettlebell training because they're simply less secure and safe. This guide from Garage Gym offers a lot of great insight on shopping for a kettlebell. 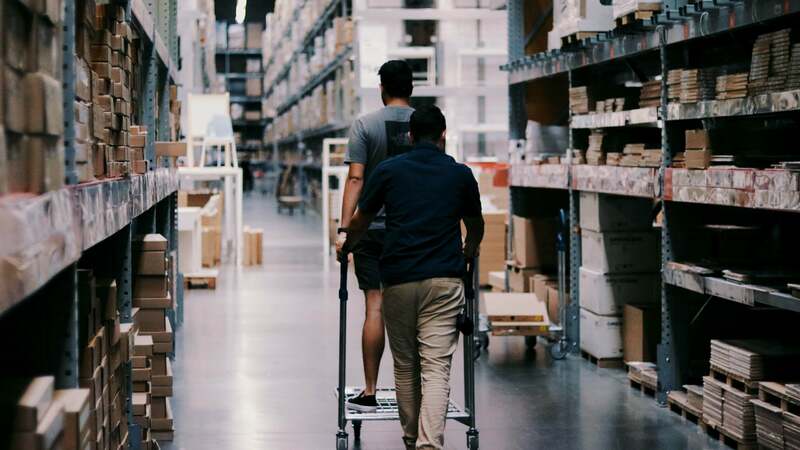 If you're ordering online, shipping costs are a real killer, so it's usually better to find a local seller or exercise equipment store that stocks reputable brands. Friends of mine have had great luck trawling sites like Gumtree — you never know when someone might be pawning off a great kettlebell. Also, keep an eye out for some manufacturers who sometimes offer free shipping on kettlebells as a promotion, which can amount to a significant discount on the final price. When it comes down to shopping for a kettlebell, it helps a lot to know what you want out of it. They're nice to have, but they're also not chump change.